It was pleasing to note that the far-sighted New Zealand navy has finally pulled the plug on Morse code as a means of communication, 155 years after its invention. How thoroughly modern. What will they do next? Abandon keel hauling and walking the plank as a form of punishment? 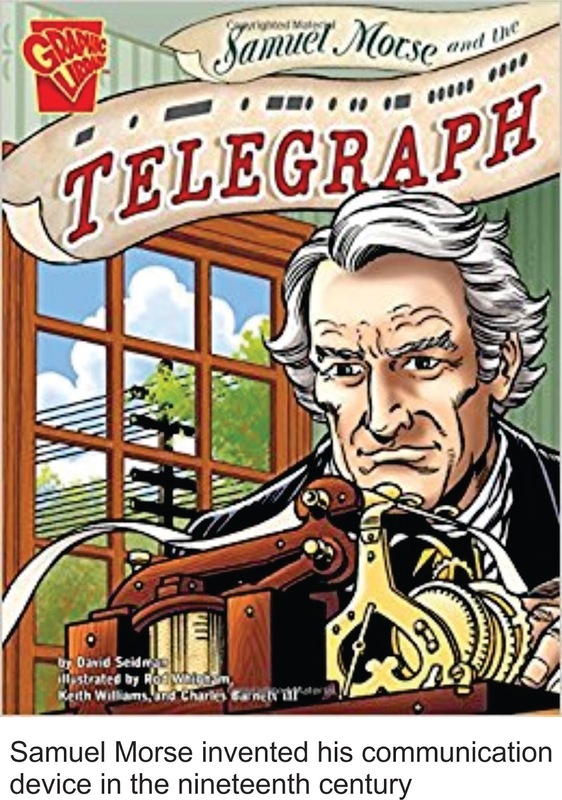 Samuel Morse came up with his amazing system where dots and dashes became dits and dahs in the middle of last century; he would have been somewhat gratified to know that it survived almost to the 21st century; at least in the antipodes. Morse was, surprisingly, a portrait painter and the first words he transmitted were: “what hath God wrought.” It was never considered that there was any particular prophetic meaning in this, but back in 1845 the Bible would have been one of the few books in widespread circulation so a scriptural passage would be almost mandatory. Our illustrious navy was apparently a lot less poetic. “Close down this circuit. Out.” it said last week, as it ended a major division in its repertoire of communication systems. Morse would be turning in his grave at their lack of imagination. I gather for the navy, (and you’re going to love this,) there was no remorse. I used to be dab hand at Morse myself; nearly fifty years ago, and I can still pretty well remember the whole alphabet in dits and dahs. This is amazing if you think about it because I can scarcely recall the name of someone I met half an hour ago. Fellow Lansdowne scouter Ken Wilton and I were the best in our troop and won the much sought after signals trophy at a regional scout competition held at the Solway showgrounds in the early 1950’s. Ken’s forte was reading semaphore flags which the New Zealand navy probably still use to alert sailors that it is time me for their daily tot of rum. We used to practice our craft by me climbing up on the woodshed roof at our house at the bottom of Opaki Road and Ken getting up on top of his parents wash-house (we call them laundry’s now) in Third Street and we would flash messages to each other using our Eveready torches. We honed our communication skills this way, but I doubt that the messages we transmitted were earth shattering in content. Sounds like a pretty dull pastime compared to today’s high tech recreational activities but this was back in the days when Tom Sawyer was still our consummate hero, and the Ginger Spice equivalent was Becky Thatcher. My Morse-code reputation must have proceeded me and at Wairarapa College I was assigned to the coveted signals corps during barracks week. My commanding cadet was one Neville Jaine. Neville was a year ahead of me at college and was even skinnier than I was (and still is, darn it) so it fell to me to have to carry the cumbersome and extremely heavy radio sets that were state of the art back then. We spent most of the week roaming the streets of Masterton communicating quintessential information back to the College. Neville wore the earphones perched over the ridiculous khaki soft hats we used to wear, while my growth was seriously stumped carrying the massive radio set on my back. We were sort of a juvenile equivalent of Dad’s Army. But all this training prepared us perfectly for world war three where I imagined we might have been parachuted behind enemy lines to transmit intelligence back to our troops. Ken and I would have looked for the nearest wash-house or woodshed roof and Neville, who was a wonderful orator, could have done an impression of Puck from Midsummer Nights Dream to avert the enemy’s attention. In the event world war three was canceled; or maybe just postponed. Born in the lucky generation we were too young for Korea and too old for Vietnam. Ken went on to be an accountant, Neville and lawyer and then a judge and I followed in the footsteps of my ancestors and pedaled meat in a sacristy of sausages and soup bones. 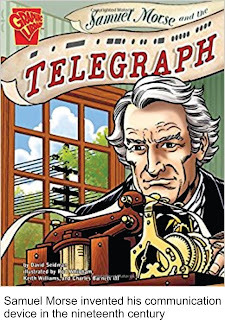 For all that, Morse’s invention was an incredible breakthrough for its time and initiated a new phase in world history. Never before could a message be sent without someone going somewhere to carry it. But around thirty years ago the first satellite was launched and today hundreds of them encircle the globe and allow us to communicate instantly from one side of the world to the other. Cables under the sea enable instantaneous telephone contact; these cables are capable of holding a million voice messages and make worldwide usage of the internet possible. Amidst all this technology, now well entrenched, our cautious navy has decided in its wisdom that Morse may be unnecessary. No one could accuse them of rushing into things. The end result of all this explosion in international contact is what we call globalisation; a term hardly used as little as ten years ago. Commentators are even suggesting that because of globalisation nations are losing their borders and the sovereignty they once had. Politicians have lost their capability to influence events. Its not surprising that no one respects our political leaders like we once did. Multi-national companies now rule the waves, some of these with gross national products considerably higher than many nations. Word has it that they abandoned the Morse system of message transference eons ago. The era of the nation state may be over. Countries, according to Japanese business writer Keniche Ohmae, have become mere “fictions.” and he cites the Asian economic crisis, which has affected us all, as a demonstration of this. This might well have meant that nations fighting nations would become a thing of the past but Kosovo and now the India/Pakistan conflict have somewhat defused this optimism. It is possible then that one day we will again need a well equipped fighting force to ensure our own survival and reassert our nationhood. Colleges don’t have barracks weeks any more and the citizenry are probably are ill-prepared to fight a war. Ken Wilton and I will gladly clamber on to our shed roofs but it is no good calling on Neville Jaine to help out. As head of the police complaints authority he presently has his work cut out adjudicating as to whether or not the police acted hastily in shooting a car converter who brandished a fake gun at them. For some, world war three has already started. Meanwhile the New Zealand navy is probably contemplating what to do with its carrier pigeons.